Mar io Rizzi is an entrepreneurial Canadian author with a diverse background. 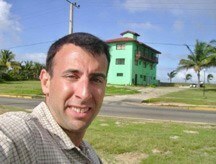 He first visited Cuba in 2007 and fell in love with the island. Since then he has returned dozens of times and considers Havana to be his second home. He has explored every corner of the island, from the major cities to rural communities, and has become intimately acquainted with Cuban culture and lifestyle. 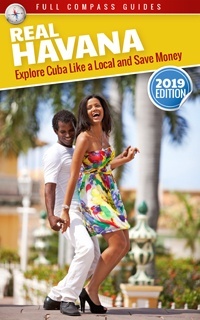 Some of his closest friends are Cuban, and they have played an important role in his understanding of the island and the development of his Cuban guide series. One of the things he finds most fascinating about Cuba is that it has a pervasive entrepreneurial spirit in spite of years of communism. Mario is an avid traveler and his most important goal is to familiarize himself with the culture of a country so that he can explore it like a local would, rather than as a tourist. It often takes a great deal of time and effort to develop this understanding and, as such, thriftiness is an important consideration. 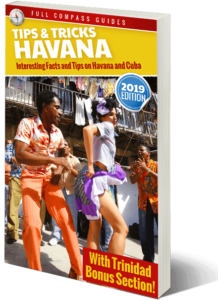 Download the FREE Havana Tips and Tricks Guide to start learning about Cuban Culture NOW!